Agia Pelagia. 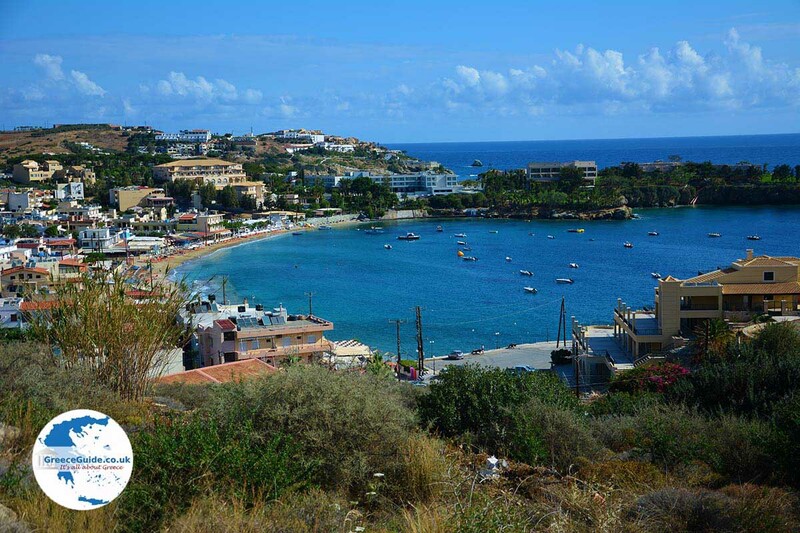 This seaside resort is situated in a picturesque bay on the Greek island of Crete, 20 km west of Heraklion city and it is built amphitheatrically on a hill. The name comes from the eponymous old monastery which is one kilometre away. It is suggested that the city of Apollonia was located here in the old days. 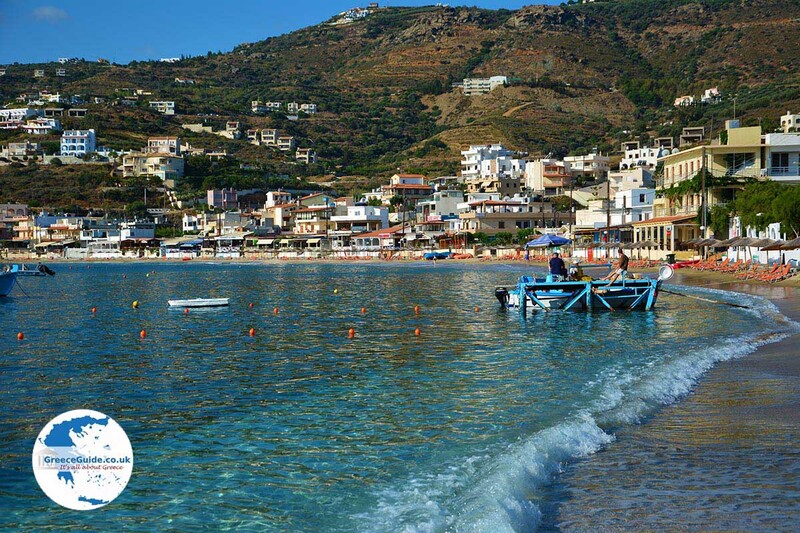 Because of its superb location and beautiful beaches this place is popular among many tourists. 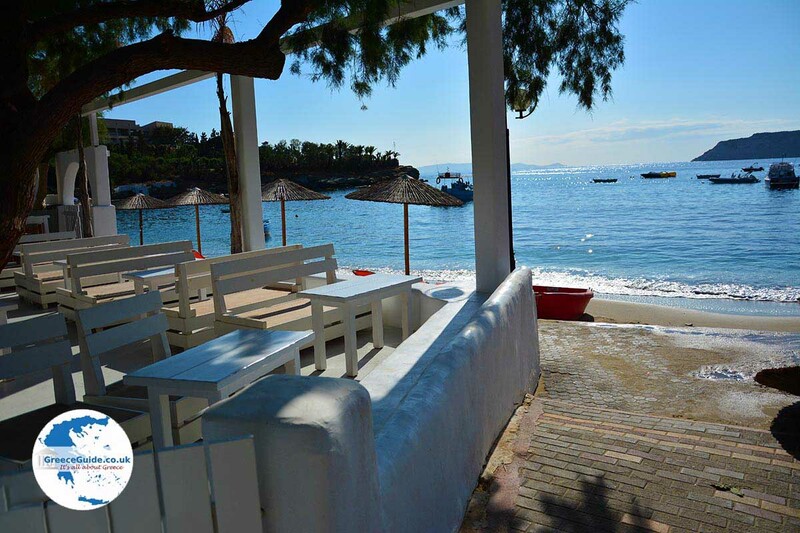 During the weekends Agia Pelagia is also frequented often by the Greek residents from Heraklion. 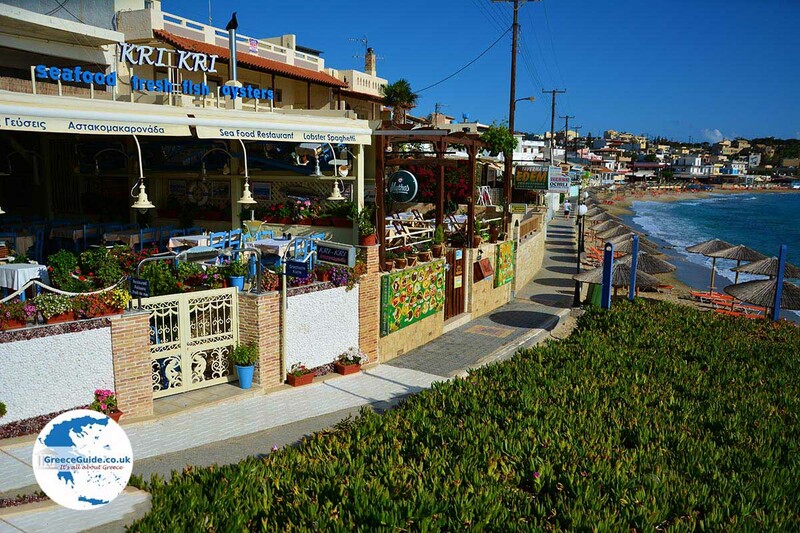 This former fishing village has become a busy tourist place with a lot of hotels and apartments scattered on the hills with stunning views overlooking the Cretan Sea and the island of Dia. 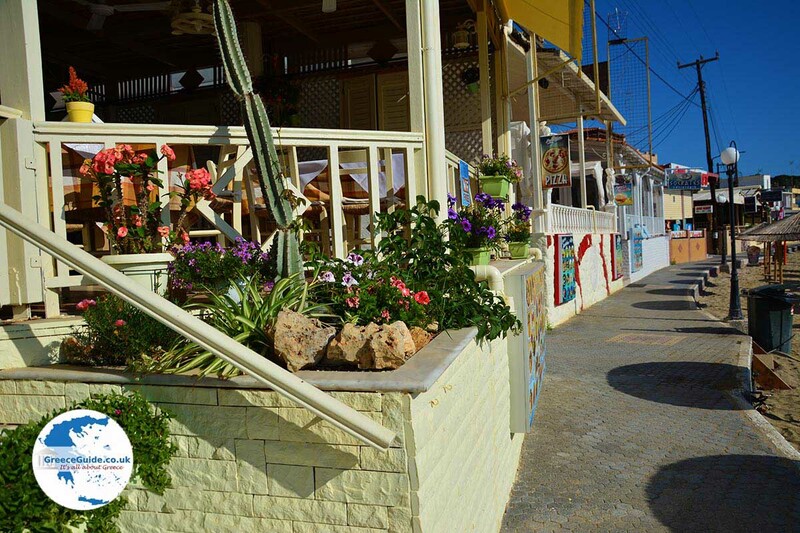 On the beach there are lots of cafés, bars, souvenir shops and restaurants. In the village there are rent rooms. Water sports are also available here; you can go water skiing, parasailing and make some boat trips. 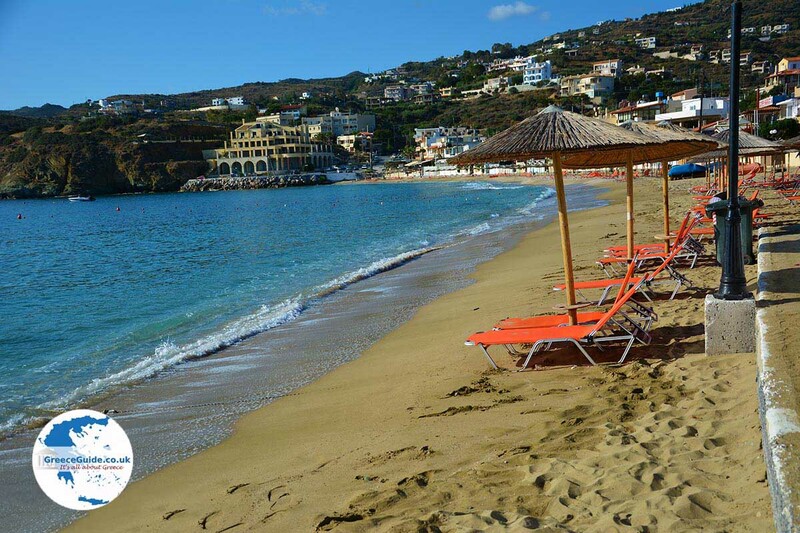 Apart from the busy main beach (Psaromoura) Agia Pelagia also has a number of smaller and peaceful pebble beaches (beach Mononafti at the Peninsula Hotel). 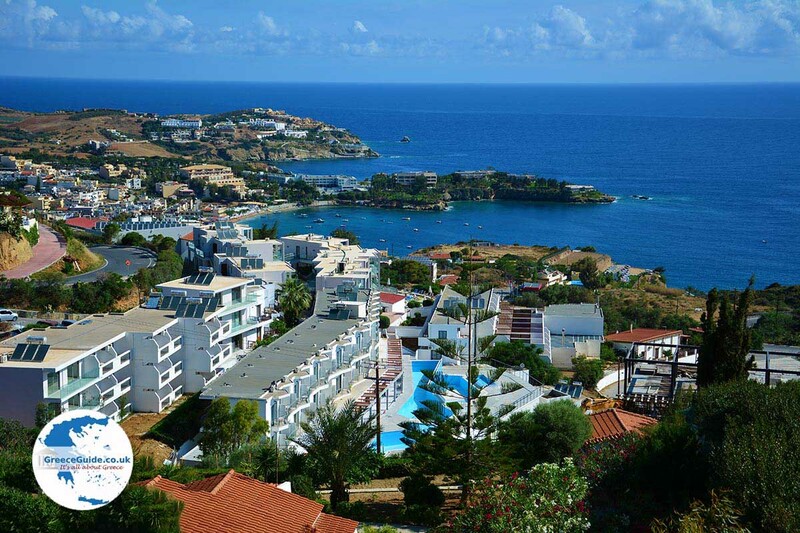 With its central location, this place is also an ideal base to explore the island. 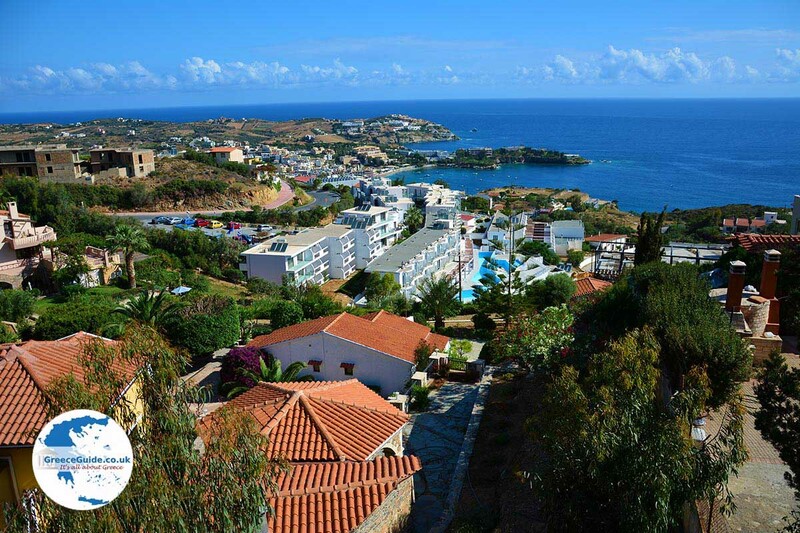 Achlada village, located 4 kilometres southwest of Agia Pelagia. With a beautiful view over the entire area. 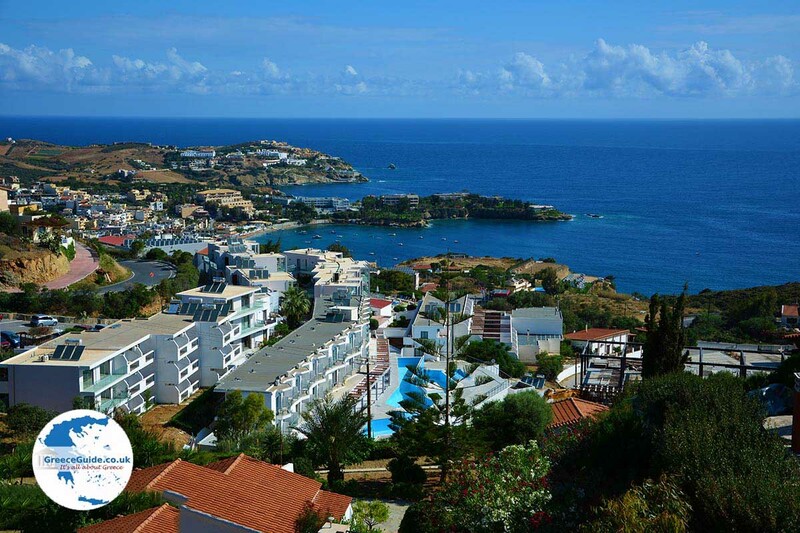 The village of Rodia, with a wonderful view over Heraklion city. 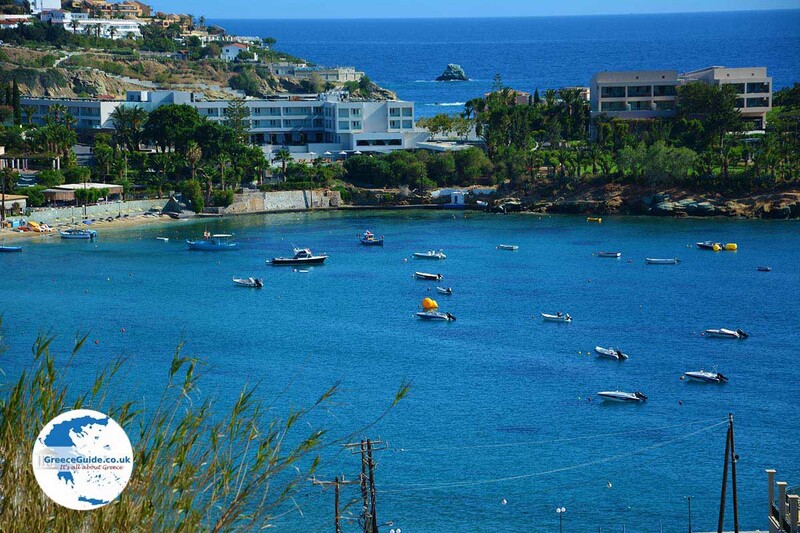 The church of Agia Pelagia on a rock next to the sea where, according to tradition, the icon of Saint Pelagia was found. 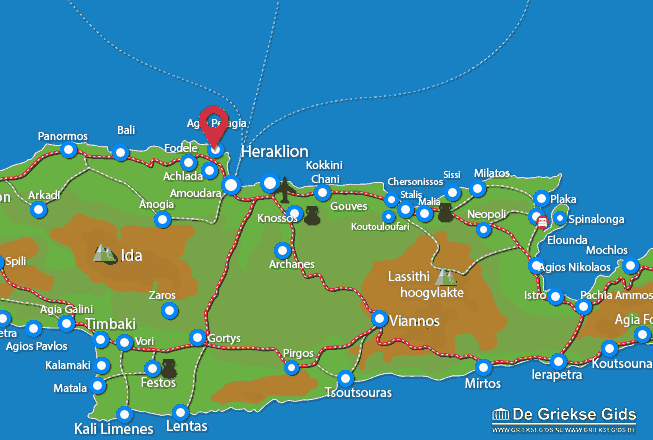 Heraklion Prefecture: Where on the map is Agia Pelagia located?